Sian joined Brite in 2017 after returning from a period away travelling. Her previous experience in healthcare recruitment and enjoyment of the customer interaction aspects of the job, lead her to want to take on a more involved role in the industry. 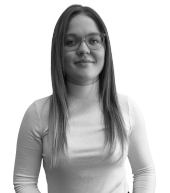 After starting her time with us on the Office temp and perm desk, Sian has since moved across to handle field agent recruitment for our national utilities contract.